We always enjoy feedback, questions or simple discussion about coffee. Tap into our love and passion for the smooth, refreshing uniqueness of your favorite coffees. Stay tuned for all the news, special offers and holiday promotions! 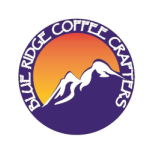 Leave your name and email address for updates from Blue Ridge Coffee Crafters!